I've played Pes nonstop since 2002 (damn. what a loser I am hahah ...) every year until a new part comes out. 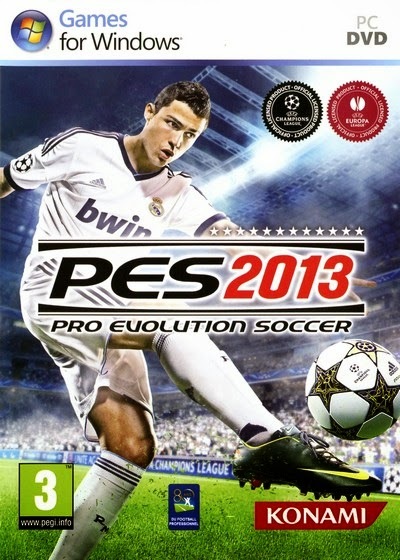 I think this year's Pes2013 is an exceptionally big step forward compared to the editions that came out after the legendary Pes6 (in 2006).. The new Pes game is much more challenging due to the possibility to use 100% manual controls.You can now choose movement in a pass or tackle urself (like every cm to the left or right and 10000 options from soft to hard) ... this is very challenging and sometimes frustrating but if the ball is given a correct kick it gives often harder and more extreme goals that are very beautiful, satisfying and always unique!! ... To get this you must first change all controll settings to manual though!.. Pes is the best football game for PC gamers if you ask me. Fifa appears on the console very well the paint to come. The reason why Pes is primarily a PC game is easy to explain: On the PC you can use the patch from the website patchedit.com so the game is absolutely perfect in every detail f.e. the hairstyles of footballers are the same as they were this week in the Champions League league.. and last but maybe most important of all: The graphics get an extreme makeover leaving out the blur and the low detail graphic settings that Konami chooses by default assuming everybody still has a Pentium 4 pc..believe me.the visuals are stunning... when will Konami wake up and open the available eyecandy for the main audience?? 1 Response to "Pro Evolution Soccer 2013 With New Update"